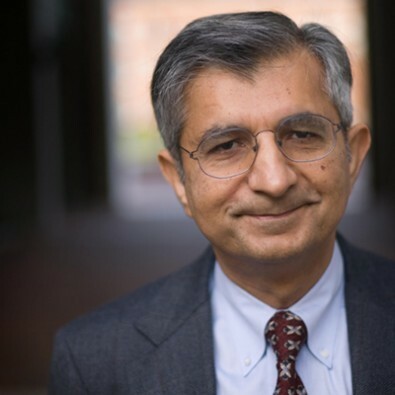 Maqbool Dada, PhD (Management, Sloan School of Management, Massachusetts Institute of Technology) joined the Johns Hopkins Carey Business School in 2009. He is a Professor in the research track with expertise in the areas of operations management, supply chain management and pricing models. Production and Operations Management, 2003-2005. Decision Sciences, 2005 – to date. Management Science, 2006 – 2008. M. Dada and W. D. White, (1999), “Evaluating Financial Risk in the Medicare Prospective Payment System,” Management Science, Volume 45, pp. 316-329. D. Serel, M. Dada and H. Moskowitz, (2001), “Sourcing Decisions under Capacity Reservation Agreements,” European Journal of Operational Research, Volume 131, 635-648. B. Kazaz, M. Dada and H. Moskowitz, (2005), “Global Production Planning under Exchange-Rate Uncertainty,” Management Science, Volume 51, 1101-1119. K. Wee and M. Dada, (2005), “Optimal Policies for Transshipping Inventory in a Retail Network,” Management Science, Volume 51, 1519-1533. M. Dada, N. C. Petruzzi and L. B. Schwarz, "A Newsvendor’s Procurement Model with Unreliable Suppliers,” 2007, Manufacturing & Service Operations Management, Volume 9, 9-32. M. Dada, M. and Q. Hu, (2008), “Financing Newsvendor Inventory,” Operations Research Letters, Volume 36, 269-273. J. Li, S. C. Chand, M. Dada and S. Mehta (2009), “Managing Inventory over a Short Season: Models with Two Procurement Opportunities,” Manufacturing & Service Operations Management, Volume 11, 174-184.